Jon Jon Lannen is a certified life coach and accredited healer. Lannen is an intuitive healer that provokes growth in the mind, body, and spirit through energy healing, aromatherapy and life coaching. Click HERE for the links to the client forms. HERE is the link for pricing! With over ten years experience developing and implementing training programs, Jon Jon & Co. has an array of programs for you and your business. Contact us by clicking here to discuss if we have a training program for your biz. Jon Jon & Co.'s most popular service is High School coaching. We have proudly developed, and taught improvisation and theater programs at numerous schools throughout the state of Colorado. High School Coaching can assist students to discover the world of the arts, while learning the philosophies of life. 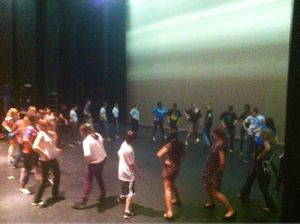 To learn more about Jon Jon & Co. at your high school, please contact us by clicking here. 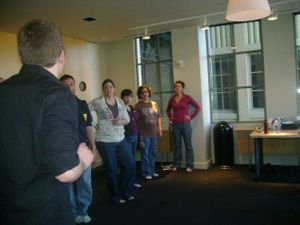 Improv workshops are one of the most popular services that we offer at Jon Jon & Co. Our faculty offers affordable improvisational theater workshops & classes in Denver throughout the year. Jon Jon, and our staff of instructors, can be booked nationally. To check out our calendar, please click here. 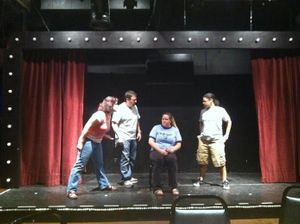 Should you have questions about improv or our classes, please contact us by clicking here. Here is a list of improv workshops facilitated by owner of Jon Jon & Co..
Our firm has experienced improvisation instructors ready to assist your improv ensemble for in-depth, dedicated coaching session. 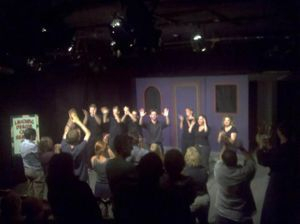 Whether you perform short form comedy or long form improvisation, book Jon Jon & Co. for your production! We travel, too. To chat about improv coaching, please contact us by clicking here.